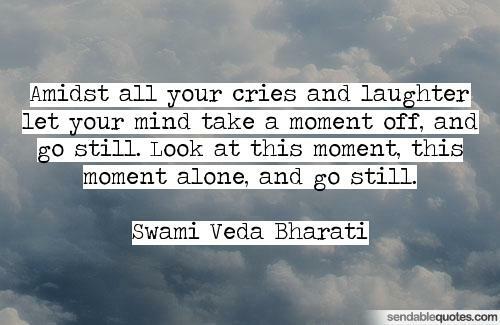 "Amidst all your cries and laughter let your mind take a moment off, and go still. Look at this moment, this moment alone, and go still." An amazing post to be shared..